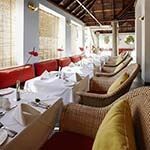 Situated on Willingdon Island with a magnificent view of Cochin harbour, Taj Malabar offers a fine balance between yesterday and tomorrow. Superior charm room interiors display a contemporary touch with European styled furniture with Indian accents and offer king/twin bed options, hi speed Wi-Fi Internet, Elsafe, mini bar, tea/coffee maker, special built in work desks and other features. 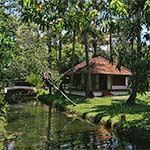 Philip Kuttys Farm is a small property situated on the backwaters by Vembanad Lake, near Kumarakom. 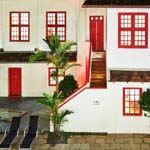 Here you can enjoy an authentic home stay experience, cared for by the family, yet with all modern comforts. 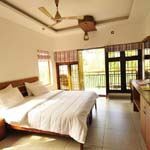 Accommodation is in self-contained, waterfront villas separate from the main house so privacy is ensured, yet the homely feel resonates throughout. 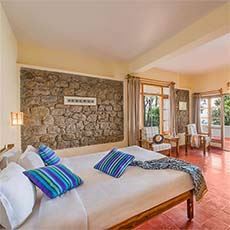 Antique furniture and traditional features make each villa a comfortable extension of the family home and free WiFi is available in all rooms. 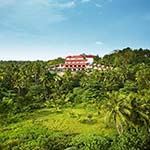 Cardamom Country is a luxury lodge set In lush surroundings, bordering Periyar Tiger Reserve. The country-style cottages have free Wi-Fi, desks, minibars and air-conditioning. 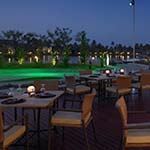 There is a relaxed restaurant, lounge and bar, as well as an outdoor swimming pool, a fitness room and Ayurvedic spa. Activities include hiking, rafting, heritage tours and tiger safaris. 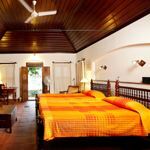 This lovingly restored former Dutch palace is set against the backdrop of Fort Kochi, a region famous for its European heritage. Guests can avail themselves of a spa treatment or a steam in the sauna before dining al fresco on the lawns. 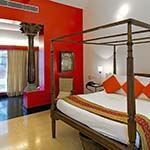 Rooms are furnished in the traditional style with antique furniture and authentic Indian art with some paintings dating back to the 17th century. 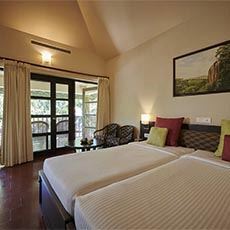 In keeping with modern day comforts all rooms have air-conditioning. 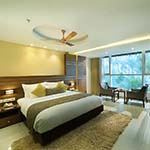 Beaumonde The Fern is an eco-conscious modern hotel situated in the Ernakulam business area of Cochin, offering comfortable accommodation with all modern facilities. Each air-conditioned bedroom is en suite with feather mattresses, pillow menu, satellite TV, high speed WiFi, hair dryer, safe, mini bar, free toiletries and tea/coffee facilities. The hotel also has an excellent restaurant. 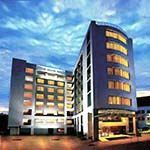 Gateway Hotel is conveniently located on downtown Marine Drive, Ernakulam’s busiest commercial hub. 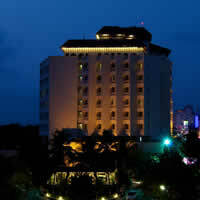 The hotel offers some of the best amenities, restaurants and a view of Cochin Harbour. While every view from The Gateway Hotel is different, the things that matter will always be the same-clean bathrooms, comfy beds and modern touches that surprise. 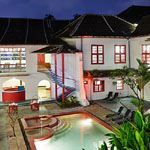 All rooms have Wi-Fi internet connectivity, International direct dialling, Voicemail service, Mini-bar and Electronic safe. 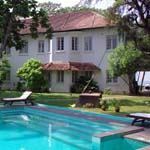 Old Lighthouse Bristow is situated right on famous Fort Kochi beach. 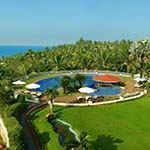 Surrounded by abundant greenery and the great Arabian Sea, this comfortable hotel could not be in a more perfect location, as it is close to all the must-see sights. Guest rooms are light and modern, with WiFi. 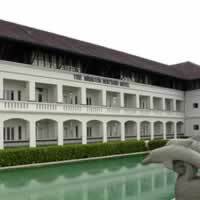 The hotel has three good restaurants and a large swimming pool for relaxation, when not out sightseeing. There is also a full service spa. 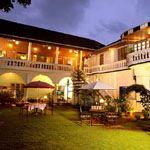 Spice Fort is centrally located and is only a short walk from the Chinese fishing nets on Cochin Beach, Fort Cochin and the spice market. 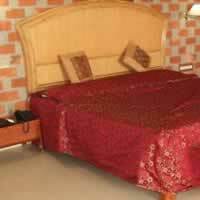 This small hotel offers friendly accommodation and service. 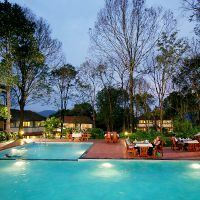 It has a restaurant that serves a variety of delicious Southern Indian cuisine, as well as international dishes.There is also an outdoor swimming pool. Brunton Boatyard is a restored Victorian shipyard situated on scenic Cochin Harbour, a short walk from the ferry terminal. 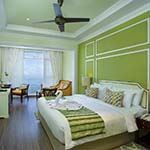 Each spacious luxury air-conditioned room has a beautiful sea view and comes equipped with TV, ironing facilities and hairdryer. Each en-suite bathroom has a shower and free toiletries. 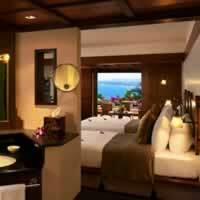 The hotel offers Ayurvedic massage treatments, an outdoor swimming pool and 24-hour room service. 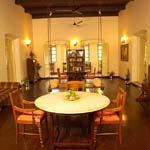 Malabar House is a tranquil, award-winning boutique heritage hotel situated in the heart of the harbour city of Fort Cochin. 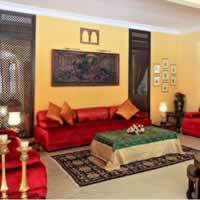 The decor is a mixture of traditional and contemporary style, with pieces of Indian craftwork displayed throughout. 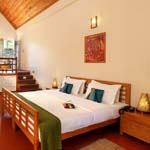 Each individually designed air-conditioned, en-suite room has comfortable beds, private balcony, ceiling fan, satellite TV, mini-bar and coffee/tea making facilities. Relax in the spa and lounge areas and enjoy the enclosed outdoor pool and surrounding sun terrace. 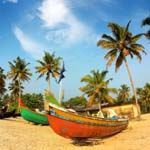 Sagara Beach Resort is situated 100 metres from the lighthouse at the southern end of Kovalam Beach. 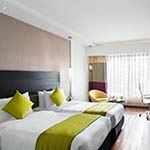 Each comfortable en-suite bedroom has air-conditioning, flat-screen TV with cable channels, seating area, balcony and free toiletries. Hairdryers and tea/coffee facilities are available on request. 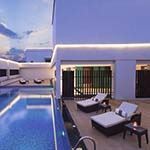 The hotel has 2 outdoor swimming pools, gym and rooftop restaurant and bar. 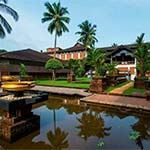 Travancore Heritage Hotel is situated on a clifftop overlooking the powdery white beaches of Chowara and the Arabian Sea. 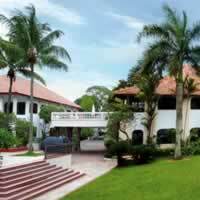 It is set in 15-acres of lush gardens, with two large swimming pools. Guest rooms all have free Wi-Fi, satellite TV and air conditioning. You can relax by the pool or wander down to the palm-lined beach for yoga with a breathtaking view. The main restaurant offers a wide variety of cuisine, or visit the beach-side grill for speciality seafood and local dishes. There is also a fitness centre, spa, games room and library. 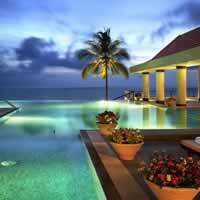 Leela Kovalam has a cliff-top setting overlooking the pristine beaches of this superb stretch of coastline. 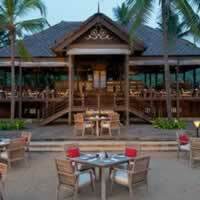 The resort is known for its world class dining and luxury accommodation. Garden rooms are located on the beach level away from the main building, with private sun decks opening onto manicured lawns that lead to a short walk to the beach. 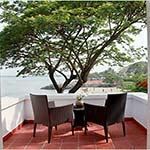 Beach view rooms are located on the cliff-top with private balconies overlooking the Arabian Sea. 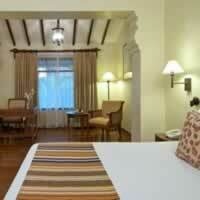 The traditional Kerala décor in the rooms is complemented by modern amenities, including WiFi. Niraamaya is a luxury retreat, set on a beautiful Arabian Sea beach that can only be accessed via the hotel.Surrounded by lush gardens, it offers a combination of local charm and modern comforts, including a romantic outdoor shower. 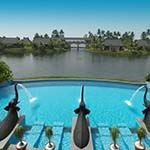 Facilities include two restaurants, a rejuvenating spa, swimming pool and al fresco bar. Each large individually decorated guest room has free WiFi. Enjoy the sand, the surf and the sea breeze. Lush gardens. Swinging palms. Serene backwaters. Sit under parasols. Stretch on deck chairs. Explore open spaces which are refreshingly breezy. Be charmed by the large French windows that offer a panoramic view of the sea, backwaters, and the seashore. Find them on winding paths along the hillside. 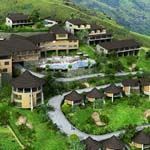 These stylish 275 sq ft hillside cottages have elephant grass thatched roofs and a private balcony or sit out. 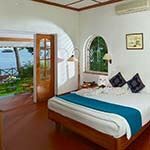 All superior sea view rooms have international direct dial facility, a mini-bar, tea/coffee maker, 24-hour room service, television with satellite programmes. 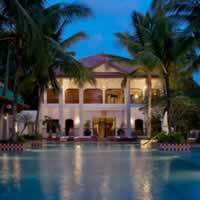 Uday Samudra Leisure Beach Hotel & Spa is a luxurious hotel located on the popular Kovalam Beach, 13 km from Trivandrum Junction Railway Station. 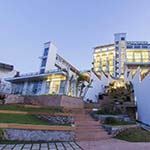 It offers an outdoor pool, free parking on site and free Wi-Fi access in public areas. 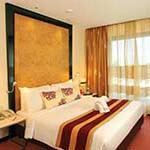 Air-conditioned guest rooms are fitted with a personal safe, tea/coffee making facilities and cable television. The en suite bathroom comes with free toiletries and shower. 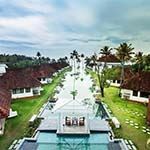 Raviz Kadavu is a luxury resort & spa nestled among lush vegetation and coconut plantations, on the banks of the Chaliyar River in Kozhikode. The en-suite air-conditioned guest rooms are elegantly furnished with wooden floors, dark wooden furniture, en-suite shower and seating area. 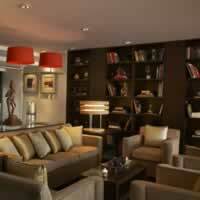 Satellite TV, minibar, safe, fan, free toiletries, bathrobe, slippers and tea/coffee making facilities are provided. 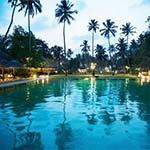 You can swim in the outdoor pool, enjoy the gym or the Ayurvedic spa. 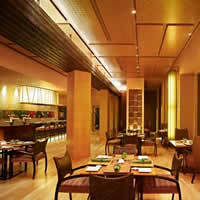 You can also relax in the bar or lounge and dine in the multi-cuisine restaurant. 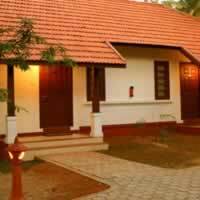 Citrus Retreats offers comfortable en-suite accommodation in Alleppey, on the lush shores of the Pallathuruthy River. 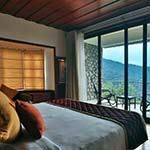 You can chose between paddy view, lake view with small veranda, or private pool villa. The hotel has two restaurants, one of which is floating. 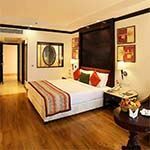 Other facilities include free WiFi, a large outdoor swimming pool and an Ayurvedic spa. 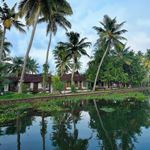 Aveda Kumarakom is a tranquil, welcoming, luxury hotel next to Vembanad Lake, situated in the backwaters of Kerala in Kumarakom. 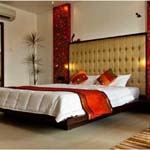 Guest rooms have simple, elegant decor and feature comfortable beds, en-suite bathroom with shower, seating area and lake or pool view. 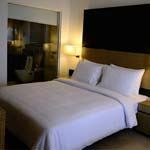 Air-conditioning, satellite TV, tea / coffee maker, safe, bathrobes, slippers, complimentary toiletries and free Wi-Fi are provided. Take a dip in the stunning swimming pool that runs through the centre of the resort and relax in the spa. 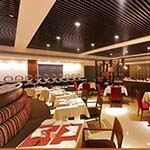 There are two dining options, a speciality seafood restaurant and another serving Indian, Chinese and European cuisine. 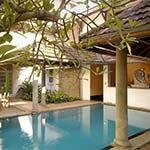 Backwater Ripples is situated in Kumarakom on the shores of beautitul Vembanad Lake, the largest in Kerala. 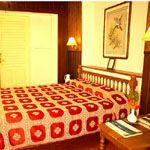 The resort is set in lush gardens, with en-suite accommodation in traditionally designed garden view rooms, heritage cottages and lake view villas - each with private veranda. 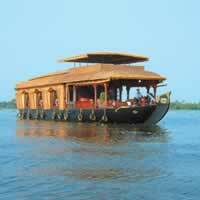 Activities include cruising the backwaters in a riceboat, water sports and cycling. 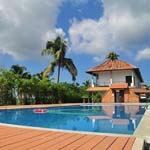 WiFi is avaiable and there is also a gym and large outdoor swimming pool. 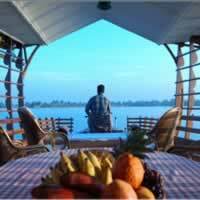 Coconut Lagoon is situated on a huge lake in the backwaters, close to Kumarakom Bird Sanctuary. Each large chalet has a separate sitting area, minibar and large en-suite bathroom with rainfall shower head. 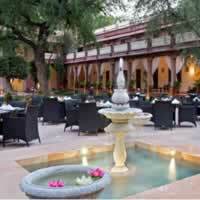 The hotel offers delicious southern Indian cuisine in its restaurant and has an outdoor swimming pool. Also bar/lounge with free WiFi and birding guides on request. 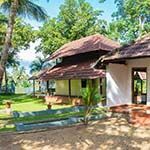 Converted from an old granary, complete with original features and traditional architecture, Kurialacherry House offers a charming home stay opportunity that will add an extra dimension to your holiday in Kerala. 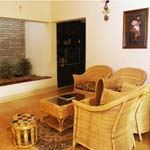 With its pretty setting and riverfront location,the accommodation is clean and comfortable, with a family touch. 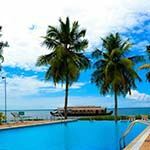 Punnamada is a luxury resort in a tranquil position overlooking Vembanad Lake. 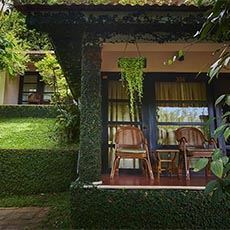 The carefully tended, extensive grounds boast a lush display of indigenous flora, which you can admire from the comfort of your private balcony. 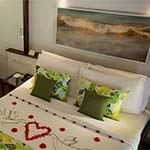 Facilities include an outdoor swimming pool, full-service spa and restaurant. 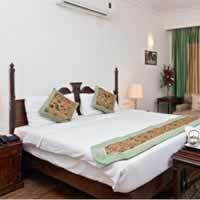 The large spacious rooms offer all modern comforts and WiFi is available for a nominal fee. 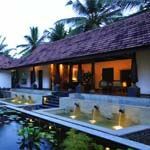 Zuri Kumarakom is a luxury resort hotel situated on the banks of Vembanad Lake, the longest lake in India. 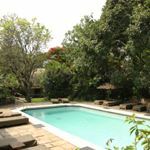 Set in 18-acres of lush vegetation, each air conditioned room has a private plunge pool, TV, Wifi, hairdryer, safe and tea/coffee maker. 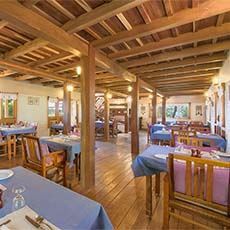 The resort has a restaurant serving delicious local and international food, a bar and a large swimming pool. The Maya spa offers authentic Ayurvedic treatments. 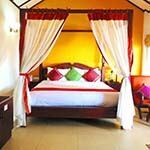 Marari Beach Resort offers spacious thatched villas fitted with full length windows with garden or pool views. 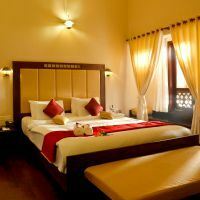 Each guest room is air-conditioned and has a safety deposit box, tea/coffee facilities and minibar. 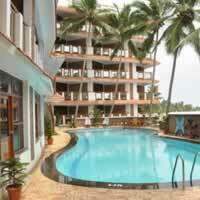 The resort has a large outdoor swimming pool and beachside dining is available. There is a gift shop that sells local crafts and a Jain Temple nearby. 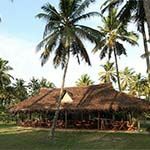 Turtle Beach Resort overlooks the sparkling white sands of Marari Beach in the fishing village of Mararikulam. 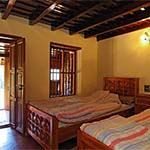 Each spacious air-conditioned cottage is en-suite, with elegant white-and-wood décor, cool floor tiles, flat screen TV and private patio. 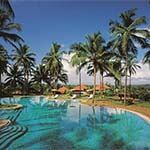 The resort has a large sun deck with infinity pool, surrounded by tropical trees. Mararikulam Shiva Temple is 20-minutes away. 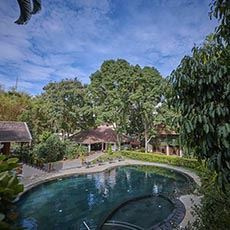 This boutique resort is surrounded by beautiful scenery and guests are invited to immerse themselves in the peace and tranquility that nature brings. Guests are also encouraged to take part in local activities such as hiking and nature trails. 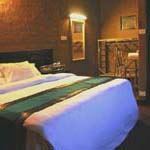 Accommodation is in simple, spacious rooms with their own terrace and views of the mountains. 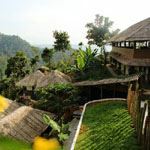 Blanket is an eco-friendly luxury hotel situated in Pallivasal village near Munnar, with stunning views of the Attukad waterfalls and surrounding lush green hills, forests and valleys. 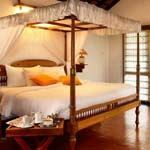 The rooms have been designed in harmony with nature, with large windows overlooking the river and tea plantations. Each room has contemporary decor, seating area, air-conditioning, free Wi-Fi and en-suite bathroom, featuring a spacious rainfall shower. You can relax in the infinity pool looking out over the falls or in the mountainside garden. There is also a gym, a bistro and a multi-cuisine restaurant. 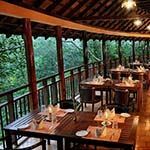 Spice Tree is a tranquil luxury resort, nestled in the mountain ranges of Kanan Devan and Bison Valley Hills. 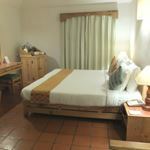 The en-suite guest rooms have wooden floors and open out onto a spacious veranda, with table and chairs where you can relax with incredible views of the valleys. Each has a king size bed, sofa and contemporary bathroom, with shower and Victorian style Jacuzzi, overlooking the landscape. 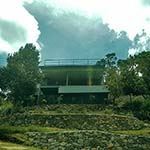 Enjoy the solar heated swimming pool filled with mountain spring water and relax in the spa or with a yoga and meditation class. Dine in the restaurant serving Indian, Keralan, Oriental and European cuisine. 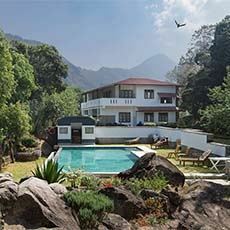 Windemere Estate is charming retreat, situated in Munnar, set among cardamom spice fields, with views of tea valleys and mountain ranges. Step into the gardens and you will be greeted by many flowering shrubs, along with coffee, guava, peach, pepper and gooseberry plants. 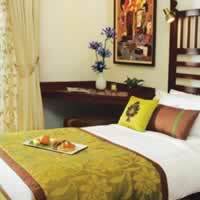 The guest rooms feature wooden furniture, en-suite bathroom, large comfortable bed, seating and private veranda. Walk in the gardens, relax by the outdoor pool or in the lounge / library and dine in the restaurant on local cuisine, made with fresh produce grown in the estate’s own gardens. There are lovely hiking trails in nearby Eravikulam National Park and also a local Tea Museum. 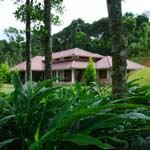 Ambady Estate is situated on a 28-hectare cardamom plantation near the hill station of Munnar and offere a relaxed, countryside retreat. Each elegant colonial-style stone cottage has a separate living room and features wood-and-stone accents. 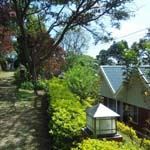 Facilities include TV, as well as tea and coffee making facilities. 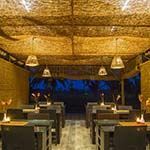 There is a cosy restaurant made from natural materials such as elephant grass and palm leaves, that serves organic international cuisine. Activities offered include walking, bird-watching, jeep safaris and cooking classes. Excursions to the Pothamedu viewpoint and Carmelagiri Elephant Park can also be arranged. 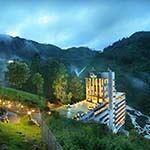 Fragrant Nature is a luxury hotel situated in the hills of Munnar, with stunning views of the mist-clad mountains. Surrounded by postcard scenery, the plantation-style bungalows have plush interiors that combine comfort and style. Each en-suite room has a cozy fireplace for colder evenings. The all-day dining restaurant offers the best of northern and southern Indian cuisine, as well as selected Arabic dishes. There is also a luxury Ayurvedic Spa. 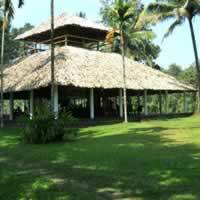 Greenwoods is a nature resort situated in dense forest in the small town of Kumily. Set beneath a lush canopy the garden has a peaceful charm, with hammocks strung between trees and winding stone pathways lit by rustic lanterns. 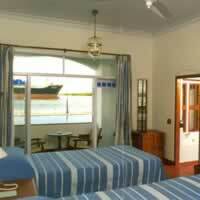 Each en-suite cottage has wood furniture, large windows, TV and Wi-Fi. Cross a rope bridge to the tea house raised on long stilts for impressive views, as you sip on a variety of blends. 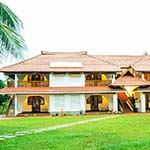 The resort has a gym, library, swimming pool and restaurant, where you can watch nightly performances of traditional Kerala dancing and music. 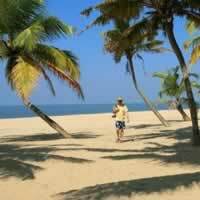 Pepper County offers the opportunity to experience a warm and friendly homestay in Kerala. 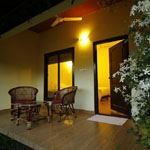 Situated close to the Munnar-Kumily Highway, it is a convenient base from which to explore Thekaddy and surrounding areas. 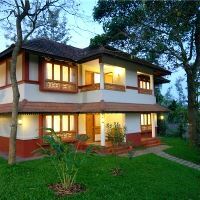 With attentive hosts, you can enjoy delicious home cooked Kerala food and relax among the suerounding hills and tea plantations. 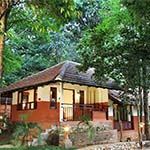 With magnificent views over Periyar Forest and across expansive mountain ranges, Poetree Sarovar Portico offers a luxury retreat where guests can unwind surrounded by unspoilt nature. 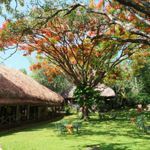 The resort has been built using reclaimed materials, such as local stone and thatch. 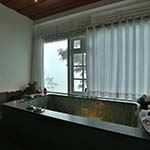 Facilities include a large swimming pool with views over the valley, a restaurant and spa services. 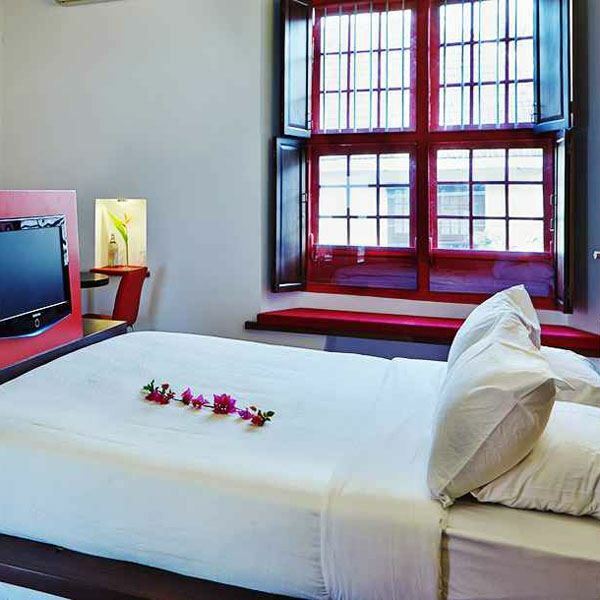 Rooms are modern and airy with ensuite facilities. Wifi is available in the communal areas. 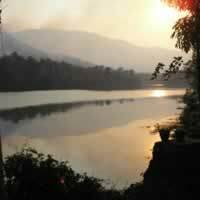 Spice Village offers a tranquil haven for nature lovers in Thekkady, close to Periyar Tiger Reserve. 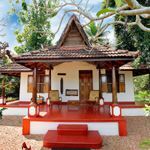 Built using ancient tribal materials, it blends modern comforts with old world charm. 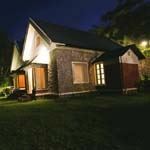 Each spacious cottage has a large en suite bathroom, ceiling fan and private outdoor seating area. Facilities include a large outdoor swimming pool, restaurant, bar and massage services, allowing you to unwind in beautiful surroundings. There is also a well-stocked library should you wish to read up on the local flora and fauna. 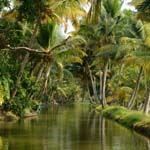 Traditional Rice Houseboats were originally used to transport goods from the isolated villages of the interior to the larger towns of Kerala, but today are used to transport tourists through the quiet backwaters. 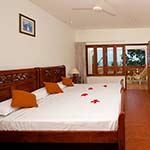 They have fully furnished air conditioned bedrooms, sundeck, kitchen and shower room with toilet. 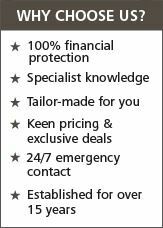 Please note that pictures shown are for illustration purposes, as a wide variety of boats are used. 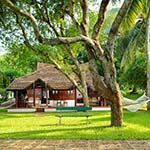 Hornbill Camp is set amidst a coconut grove on the banks of the Periyar River, with cottage tents built on raised platforms. The camp overlooks the lowland forests of the Salim Ali Bird Sanctuary at Thattekkad, where you can enjoy birding, kayaking on the river and cycling through the spice growing villages. 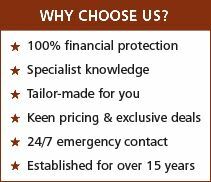 The rustic luxury tents are spacious, with all modern living amenities. 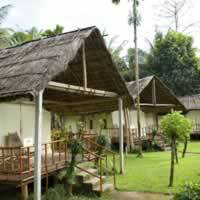 Each cottage tent has its own private bathroom and an exclusive sit-out overlooking the river or the lowland forests. 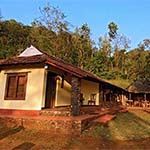 Fringe Ford offers an authentic homestay experience in the Thavinhal district of Kerala, situated high in the hills and surrounded by forest. 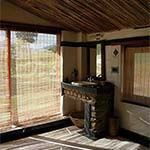 Each bedroom has a simple rustic décor with heavy carved wooden furniture, private bathroom and wide glass windows offering wonderful views over the surrounding landscape. Here you can enjoy warm Indian hospitality and traditional Keralan cuisine, cooked on a charcoal stove and eaten inside or around a campfire. 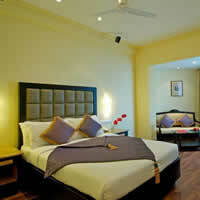 Hycinth by Sparsa is a lovely boutique hotel situated in the heart of Trivandrum. All en-suite rooms are spacious and bright, with an elegant contemporary decor, wooden flooring, lounge area and bathroom with seperate shower cubicle. 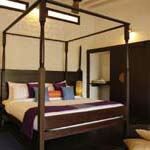 Satellite TV, air-conditioning, minibar, free Wi-Fi, tea / coffee making facilities and bathrobes are provided. You can enjoy the roof top pool, gym and spa. 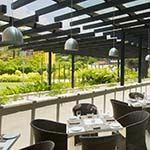 Also dine in the restaurant overlooking the lush gardens where international, Indian, Chinese and regional dishes are served. 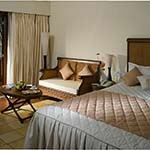 Gateway Janardhanapuram is perched on a red clifftop in the picturesque beach town of Varkala, with wonderful views over the Arabian Sea. Guest rooms are garden or sea facing and equipped with all modern amenities, including the convenience of a kettle, safe, TV and free Wi-Fi for two devices. 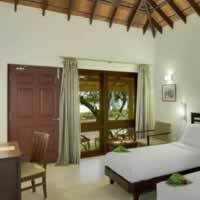 Rooms feature a spacious bathroom with eco sensitive botanical toiletries, luxury bedding and a balcony. Hotel facilities include a spa, indoor and outdoor sports and yoga by prior appointment. The GAD restaurant offers multi cuisine dining and you can also eat at the Sunken Bar or relax in the lounge. 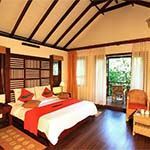 Vythiri Resort & Spa is a luxury jungle hideaway situated under a tropical rainforest canopy, on the banks of a mountain stream. 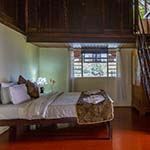 The elegantly furnished guest cottages feature high wooden rafters, tiled and wooden floors, seating area, en-suite bathroom with both shower and bathtub and a veranda deck. Air-conditioning, ceiling fan and free toiletries are provided. 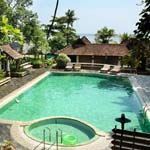 You can enjoy the Ayurvedic spa, swimming pool, natural pool and gym. 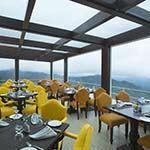 In the evening you can dine in the restaurant that serves both Indian and European cuisine.